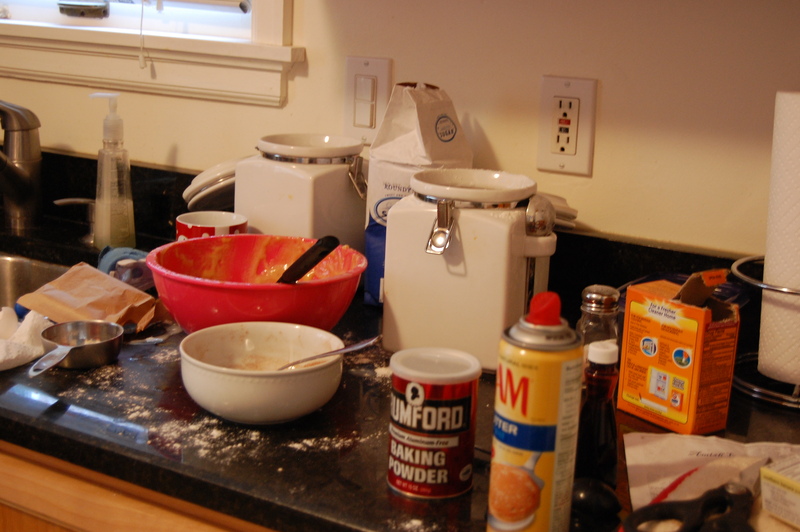 Is this what your kitchen looked like last weekend? It is that time of year when I decide to bake cookies and bread for all of my friends and neighbors. On Saturday I made 12 loaves of Amish Friendship Bread and 4 batches of shortbread cookies. I always get about half way through this process and question why in the world I am doing so much baking. 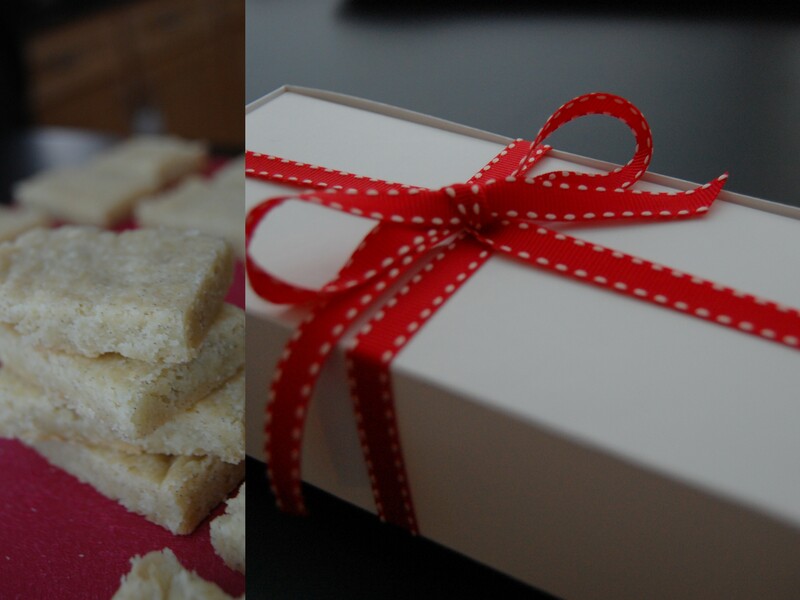 Instead of making many different kinds of cookies this year, I decided to make 4 batches of shortbread and added ingredients to make each batch a little different. I then packaged these up in basic white candy boxes and tied them with sweet red ribbon. Simply stated, but still something all of my friends and neighbors will enjoy receiving. Preheat oven to 325 degrees. Butter an 8 1/2-inch round cake pan or a 8 inch square pan. Sift together flour and salt in a small bowl. In a large bowl cream butter until whipped, 3 to 5 minutes. Add sugar, and continue to beat until fluffy, being sure to scrape down the sides of the bowl. Beat for about 2 minutes more. Add flour mixture a little at a time and beat on low until flour is fully incorporated and dough sticks together when squeezed. Pat dough into pan and prick all over with a fork. Bake until firm in the center and just starting to turn light brown, about 50 minutes. Take out of the oven and let cool for 15 minutes. Cut into desired size. 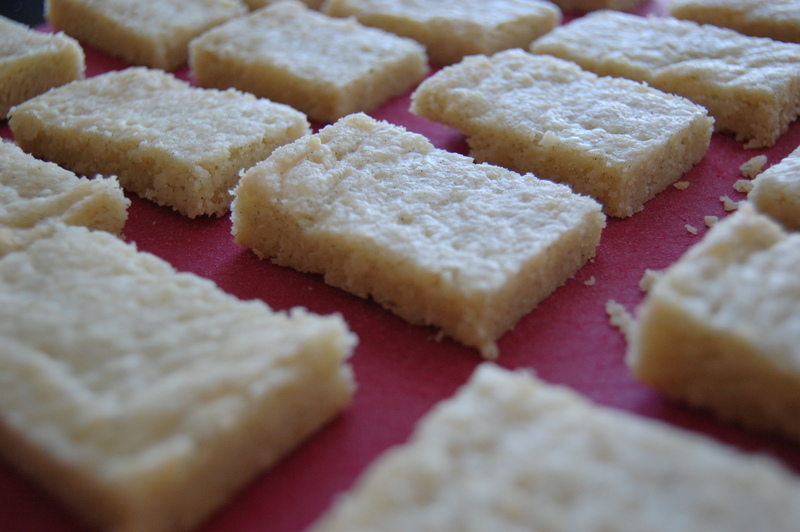 Let cool 15 mins more and then remove the shortbread from the pan and place on a cooling rack. Cookies will keep, in an airtight container at room temperature for 3 weeks. Wish I had read this earlier. I made some this morning, same recipe, but adding the nuts made it very crumbly. Any suggestions? That is a good point. If you chop the nuts too fine, then it will change the consistency of the dough. I would suggest keeping them sizable pieces to avoid this from happening. That is what I did with the pecans and it turned out great.